"Drew's intimate day-in-the-life chronicle is filled with many a striking vignette. We see an exhausted Gandhi, hot and grimy after campaigning all day with Rajiv sitting barefoot on a podium. It's more striking than even the famous photograph that showed a hole in the well-worn shoes of an exhausted Adlai E. Stevenson relaxing from the rigors of the presidential campaign." "A rare and intriguing glimpse into the life of India's prime minister"
"The program is enriched by the photography of Robert and Anne Drew"
"A film full of symbols of continuity and change"
"The program's specialty is its intimate glimpses"
This up-close portrait of Indian Prime Minister Indira Gandhi reveals the complex dynamics of the world’s largest democracy. Gandhi electrifies crowds as she travels throughout the country campaigning for her son, Rajiv, whom she has maneuvered into politics. 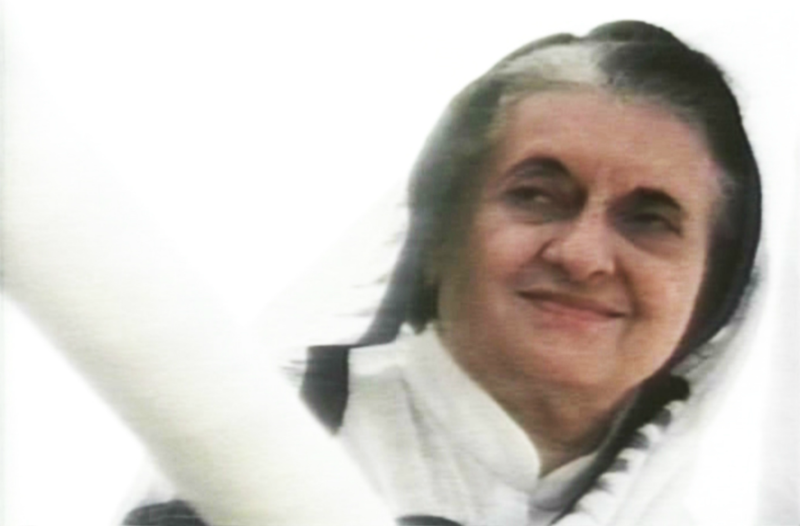 It is clear she is preparing him to succeed her, as she did her father, Jawaharlal Nehru.